I want to have success with Lion's Mane. I tried Oak logs some years ago and got nothing. I need info on using wood pellets and plastic bags (I have a large basement). This sounds like a faster way to get results than logs. Put me on to a link if you can or share your ideas. If this is your first time, I'd go with un-supplemented hardwood pellets. Prepare your substrate. This page will get you going in the right direction. I have had pretty good results with lion's mane (and various oysters) using the non-sterile method outlined by Dr. Rush Wayne in his detailed booklet "Growing Mushrooms the Easy Way." The photo below shows the results of one of my early grows on un-supplemented hardwood pellets using Dr. Wayne's peroxide method. Those are small baskets lined with thin plastic bags. They contained about 12lbs of substrate/spawn at a ratio of about 1:10 or so. This required no sterile technique, no special equipment, and the substrate was just hardwood fuel pellets with a few tablespoons of gypsum. I do now use sterilized supplemented hardwood pellet blocks because they give better and faster results (fruit within a month rather than 2 months if I recall correctly). But it is a lot more work and requires a lot more equipment. But I attribute my continued interest in cultivation to those early successes I had with the peroxide method. Not the answer you're looking for? 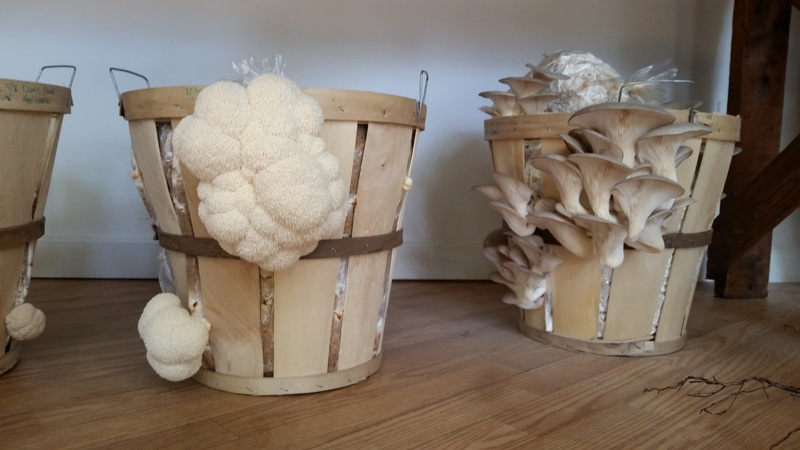 Browse other questions tagged mushrooms growing-medium or ask your own question. Will Porcini mushrooms grow under a maple tree? Can Oyster mushrooms grow on a Yucca tree? What is the best way to raise a succulent using still aquaponics?